We’ve all done it, sat on the patio or lawn, happily watching as our cats and dogs cavort around the garden, bounding in and out of flowerbeds and bushes. The hazy days of summer can conjure up some magical memories but they can also create problems for our beloved pets. Flowers in bloom attract bees for the pollen whilst any fruit trees may find themselves familiar with marauding wasps. These airborne visitors can be particularly unwelcome guests where our cats and dogs are concerned, we spoke to our pet health expert to find out why. To our pets, bees and wasps are basically mobile, airborne toys. Dogs and cats have a weakness for catching insects and this can make them particularly susceptible to stings, often in and around the mouth. Wasps are generally accepted as an annoyance to all, but it is often our pets who provoke them. 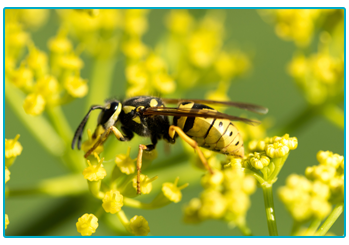 Outdoors in the summer months, colonies of wasps and bees can be easily disturbed by cats and dogs, as they explore. They’re not out of harm indoors either, open windows mean that bees and wasps can become trapped indoors, making them sitting ducks for inquisitive pets. As with humans, cats and dogs can be allergic to insect stings and can suffer an anaphylactic reaction. In these cases, treatment should be sought as soon as possible, especially in cases of multiple stings. Stings around the mouth, throat and neck can be particularly serious, as breathing can be restricted. It might not always be easy to spot the stings amongst your pet’s fur, so be aware of other symptoms such as respiratory difficulty, vomiting, shaking and unexpected urination or defecation and react quickly. In the event of a wasp sting, you need to make sure that nothing is left in the sting. This may mean digging the stinger out with some tweezers. You should then treat the area with an alkaline substance, such as vinegar. 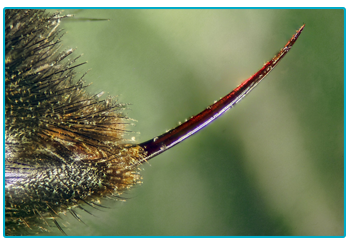 For bee stings, the barbed sting can be left in the skin, which should be removed with a scraping motion, as squeezing this sting can release more venom. The wound should then be treated with an acidic remedy, if you mix some bicarbonate of soda and water into a solution then this should work. We all know how painful wasp and bee stings can be, and it’s no different for our pets. 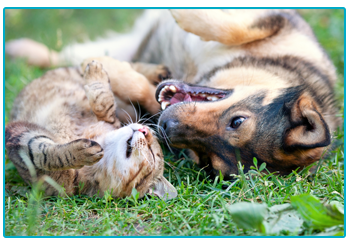 If your cat or dog does get stung, then you can apply an ice pack to reduce inflammation and discomfort, as well as putting in place some of the measures listed above. If you are unsure about anything, then it could be sensible to contact your vet and seek medical advice. It’s better to be safe rather than sorry – you don’t want to get stung!